Speaker Nancy Pelosi had her trip to Brussels and Afghanistan canceled by President Trump. It’s the latest fight between the Trump White House and House Democrats who are still duking it out over border security. We’re talking $5 billion for part of a border wall, folks. It’s another non-controversial policy that the Left has harped on for days. The government shutdown is on the verge of lasting a month, but both sides are not budging. 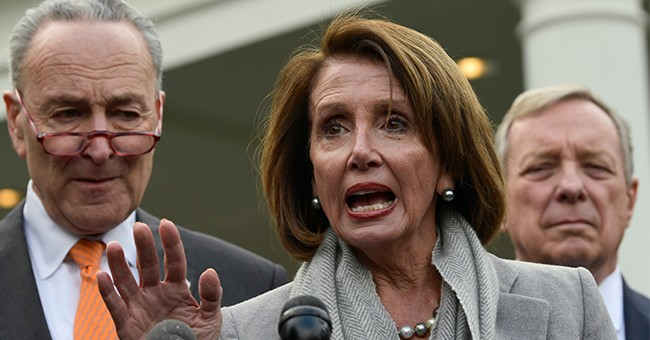 House Speaker Nancy Pelosi's office complained Thursday that President Trump canceled a congressional delegation trip Pelosi was leading to Afghanistan because of the shutdown, even though Trump traveled to visit U.S. troops in Iraq during the same shutdown. "The President traveled to Iraq during the Trump Shutdown as did a Republican CODEL led by Rep. Zeldin," wrote Pelosi spokesman Drew Hammill. "CODEL" is shorthand for "congressional delegation," and he was referring to the Republican lawmaker from New York. new: Source tells @FoxNews that the Pelosi CoDel was a DOD matter, not State. For those outside of Washington, CoDel is shorthand for Congressional delegation. Now, how about getting that wall built, folks.